In the past few weeks, investors’ interest shifted more toward taxable bond funds than equity funds. As per recent Lipper and Investment Company Institute (ICI), the fund category group attracted high inflows. Even though funds from this category carry higher risks, they provide better yields than government bond funds. Hence, investing in taxable bond funds might be a wise option for bond fund investors willing to take on relatively more risk in search of higher returns. According to Lipper, total outflows in all the major fund groups, including mutual funds was at $3.164 billion for the week ended Jul 25. Both domestic and non-domestic equity funds posted net outflows of $1.507 billion and $1.657 billion, respectively. However, taxable bond funds reported net inflows of $1.426 billion. Moreover, per ICI, taxable bond mutual funds witnessed estimated inflows of $5.078 billion for the week ended Jul 18. On the other hand, domestic and non-domestic equity funds posted outflows of $4.141 billion and $888 million for the week. Why Buy Taxable Bond Funds? Taxable bonds are fixed-income securities issued by the country or state, income from which is not tax-exempt. These kinds of bonds are used to fund a particular project or facility. Taxable bond funds are likely to yield better results banking on continued job creation. So, mutual funds with strong exposure to various taxable bonds are considered prudent investment options in an environment of steadily rising GDP. According to Morningstar, all the categories of taxable bond funds have generated encouraging one-year and year-to-date (YTD) returns. Bank-loan funds have returned 3.5% and 2.2% over the past-year and YTD time frames, respectively. Also, ultra-short bond funds managed one-year and YTD returns of 1.5% and 0.9%, respectively. Further, high-yield bond funds have registered one-year and YTD returns of 2% and 0.7%, respectively. This encouraging domestic backdrop calls for focus on five taxable bond mutual funds that boast a Zacks Mutual Fund Rank #1 (Strong Buy) and Rank 2 (Buy), and have encouraging dividend yields. Moreover, these funds have impressive one-year returns, minimum initial investment within $5000 and low expense ratios. USAA High Income Fund (MUTF:USHYX) aims to provide total returns through current income and capital growth. It focuses on investing in dollar-denominated, non-investment-grade debt securities. Along with domestic securities, USHYX may also invest without limit in dollar-denominated foreign securities. USHYX carries an expense ratio of 0.85% compared with the category average of 0.98%. Moreover, USHYX requires a minimal initial investment of $3,000. The fund has YTD and one-year returns of 0.2% and 2.8%, respectively. USHYX has a Zacks Mutual Fund Rank #1. Further, Julianne Bass is one of the fund managers of USHYX since 2007. Annual dividend yield of the fund is 5.54%. Vanguard Total International Bond Index Fund (MUTF:VTIBX) aims to measure and track the performance of the Bloomberg Barclays Global Aggregate ex-USD Float Adjusted RIC Capped Index (USD Hedged). VTIBX uses an indexing investment strategy to track the benchmark index’s performance. The fund carries an expense ratio of 0.13% compared with the category average of 0.91%. Moreover, VTIBXrequires a minimal initial investment of $3,000. The fund has YTD and one-year returns of 1.3% and 3.2%, respectively. VTIBXhas a Zacks Mutual Fund Rank #1. Further, Joshua C. Barrickman is the fund manager of VTIBXsince 2013. The annual dividend yield of the fund is 2.1%. Performance Trust Strategic Bond Fund (MUTF:PTIAX) invests a substantial portion of its assets in fixed-income instruments including municipal, government and corporate bonds, mortgage-backed and asset-backed securities. These fixed-income securities are issued by different U.S. municipal, government and private-sector entities. PTIAX carries an expense ratio of 0.77% compared with the category average of 1.05%. Moreover, PTIAX requires a minimal initial investment of $2,500. The fund has YTD and one-year returns of 0.6% and 3.2%, respectively. The fund has a Zacks Mutual Fund Rank #1. Further, Anthony J. Harris is one of the fund managers of PTIAX since 2010. The annual dividend yield of the fund is 4.7%. Northern Multi-Manager High Yield Opportunity Fund (MUTF:NMHYX) invests a bulk of its assets in various fixed-income securities, including bonds which are rated lower than investment grade. The adviser of the fund uses a “multi-manager” approach. NMHYX invests its assets in fixed-income securities of domestic as well as foreign companies based in emerging markets. The fund carries an expense ratio of 0.86% compared with the category average of 0.98%. Moreover, NMHYX requires a minimal initial investment of $2,500. The fund has YTD and one-year returns of 0.5% and 3%, respectively. NMHYX has a Zacks Mutual Fund Rank #2. Further, Christopher E. Vella is the fund manager of NMHYX since 2012. The annual dividend yield of the fund is 6.2%. Franklin Floating Rate Daily Access Fund (MUTF:FAFRX) invests a huge part of its assets in income-generating floating interest rate corporate debt securities and corporate loans. These securities are issued by domestic companies, foreign entities and domestic subsidiaries of foreign companies. FAFRXcarries an expense ratio of 0.86% compared with the category average of 1.00%. Moreover, FAFRXrequires a minimal initial investment of $1,000. The fund has YTD and one-year returns of 1.7% and 2.7%, respectively. The fund has a Zacks Mutual Fund Rank #2. Further, Madeline Lam is one of the fund managers of FAFRXsince 2004. The annual dividend yield of the fund is 4.2%. 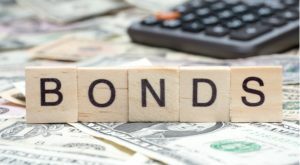 Article printed from InvestorPlace Media, https://investorplace.com/2018/08/5-best-taxable-bond-funds-buy-august-ggsyn/.